As experts in delivering fun, creative Drama and Performing Arts classes and clubs; Boo Theatre believe every child should have the opportunity to grow and develop key life skills that thrive from learning the art of performance and that can be used in any walk of life. Whilst learning specific skills in Acting, Singing and Dancing, we provide a creative space to build and learn Self- Confidence , Public Speaking , Reading & Teamwork to name a few. Boo Theatre is run by Rebecca Ayres and Jake Addley – both professional actors who come with a wealth of experience and passion for introducing others to the arts as well as having professionally performed for over ten years. Jake will be appearing in the West End production of The Gruffalo this Summer and both have a large background in family theatre including working with fantastic brands such as Cbeebies & Cartoon Network. All Boo Theatre classes are delivered by industry professionals (who come with an array of West End & Touring Credits) Learning from professionals is a wonderful opportunity to learn and develop improvisation and script work as well as voice, acting and dance technique. 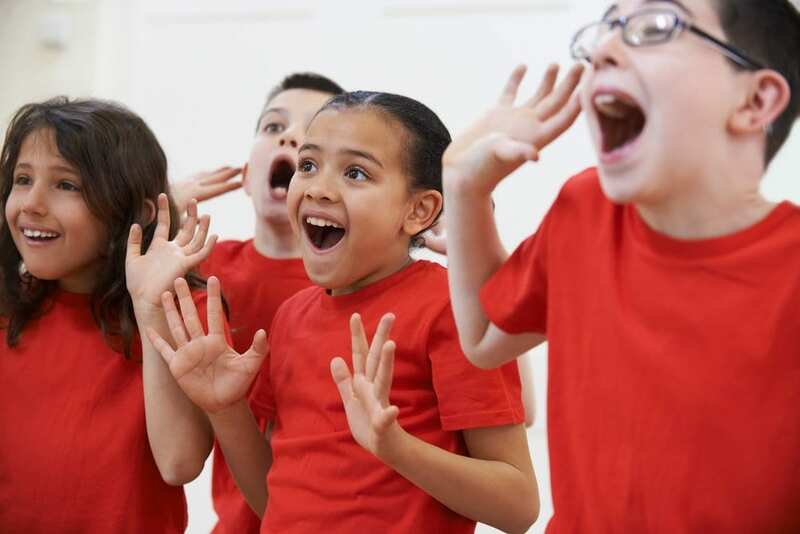 With over 50 Drama clubs and classes running in schools and spaces across London each week; we believe every child should have the opportunity to be able to thrive and grow and therefore aim to provide high-quality classes at an affordable rate.